Peace Parks Foundation was initially established with the purpose to serve, first and foremost, as a facilitator – bringing governments together to recognise the value of their shared natural assets and jointly managing and developing these. This role has gradually changed to include involvement in the implementation of large development aid projects, but still very much with macro landscape conservation goals at the forefront. There was never a focus on challenges at micro level such as species conservation. However, in 2008, the first signs of a real threat against the TFCA concept emerged when rhino poaching suddenly spiked in southern Africa. This escalation of wildlife crime throughout sub-Saharan Africa significantly threatened the TFCA concept if not brought under some semblance of control. 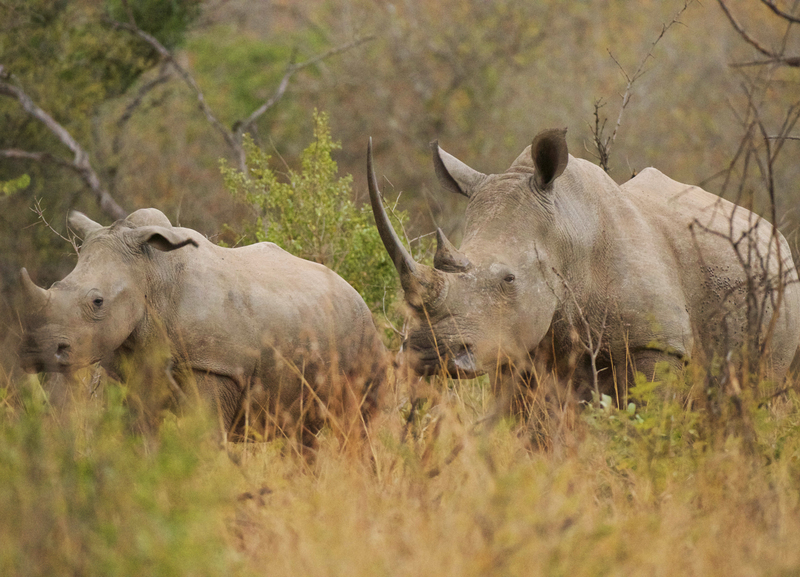 By the end of 2013, South Africa had lost 2671 rhino. Additionally, the first signs of elephant poaching, which was already rife in many other southern African countries, started to emerge in the Greater Limpopo Transfrontier Conservation Area, and the Foundation realised that it had to join the battle to fight this scourge. Aside from their critical roles in maintaining balanced and sustainable ecosystems, these animals serve as a major tourist attraction. If three of the world-famous Big 5 would no longer be found freely roaming Africa’s parks, the impact would be far-reaching. Wildlife crime destroys biodiversity by threatening the extinction of critically endangered species, it diminishes resources as funds that could have gone towards conservation or community development are now spent on anti-poaching efforts, and it drains the tourism industry as tourists mostly travel to experience the magical African bush and do not want to enter a militaristic environment caused by extreme security interventions. All of these impact and diminish livelihoods and ultimately destabilise the sustainable development of the transfrontier conservation areas and the protection of large ecosystems. With the continued growth of the middle class in primary consumer-countries, coupled with increasing levels of poverty in Africa, it is anticipated that wildlife crime will remain one of the biggest threats to keystone species and conservation for the next decade at least. As wildlife crime poses a serious threat to natural resources and the communities they support, anti-poaching efforts in various parks continue to strengthen. What we have learnt is that there are four interventions that have come to the fore as areas most likely to have long-term impact in counter-poaching and counter-trafficking, at scale and at a tempo required to stem the current tide. For our combating wildlife crime programme, going forward, a much more focused approach will be undertaken to focus exclusively on these interventions based on lessons learned and experienced gained. The utilisation of real-time tracking and passive detection solutions of both humans and animals,and the appropriate systems to communicate the information to ensure an appropriate and rapid response, will act as a significant deterrent to poaching activities. The placing of sensors on live animals and the use of mobile, satellite or radio technology to track the movement of rangers and animals are rapidly advancing. The application of radar technology is also showing the first very promising results to survey a wide area and suppress any poaching activity. The integration of sensors and technology solutions will create a connected environment and provide greater situational awareness making it more viable to manage large conservation estates. The appointment and support of special wildlife crime investigations within conservation management organisations that work in collaboration with the formal police/detective services has had remarkable success especially when comparing the cost of such interventions with the normal traditional anti-poaching approach of boots on the ground. By targeting the organised criminal syndicates, building cases and gathering evidence against them thus providing the police with actionable intelligence to affect the arrests is an approach that, if handled in a correct and sensitive manner by specialist personnel with the skill sets to investigate wildlife crime as a dedicated discipline has far and wide reaching positive implications to curb poaching activities and disrupting wider criminal activities. To change public perceptions and bring about a change in behaviour whereby the consumption of wildlife products such as rhino horn, reptiles, amphibians, birds, leopard skins and lion bone is considered socially unacceptable, will still take a long time. We do still believe however that education and awareness initiatives that aims to reduce demand as well as elevate the overall level of understanding of conservation continue to have merit with long-term and sustainable wins in mind. Alongside all of the above-mentioned interventions, community development must continue. Not all poachers are driven by poverty, but the lack of income and access to critical resources most definitely exasterbates the extensive level of poaching encountered in southern Africa. These communities have to be empowered to either benefit from the sustainable use and development of commercial resources within the conservation areas, or be assisted to find alternative livelihoods in line with the fulfillment of their basic human rights. The Rhino Protection Programme focuses on developing and implementing practical, well-considered methods through which to address issues at various critical points along the so-called “rhino horn poaching supply chain”. 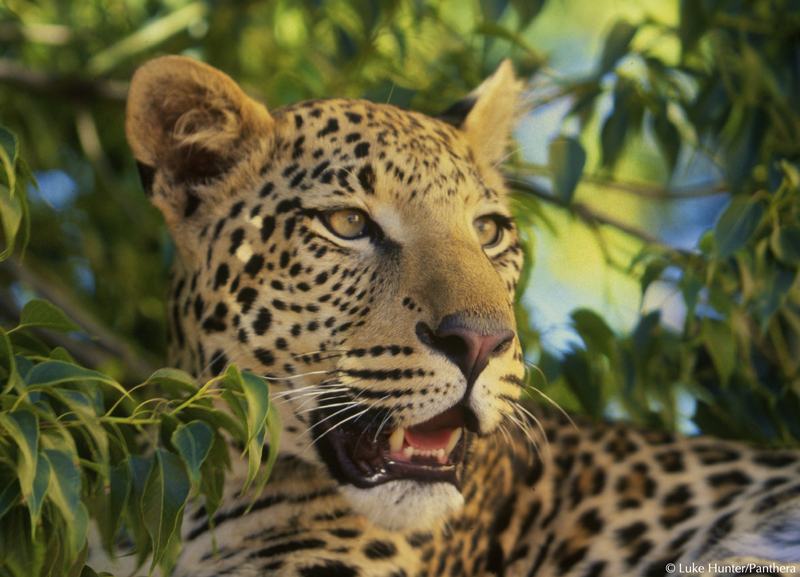 Peace Parks Foundation has joined forces with implementation partner Panthera, to protect leopards in South Africa through the Furs for Life Programme and in Zambia through the newly launched Saving Spots initiative.